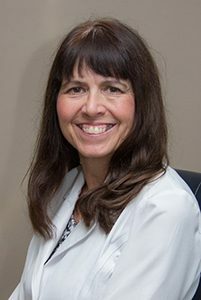 Lori has worked in the medical field for over 34 years after graduating from the Bryman School for Medical Assisting. Since that time she had worked for a General Practitioner for eight years and was trained as a P.A. She later worked for an allergist for six years. She first met Dr. Miller in 1995 as a patient. In 1998, Lori joined the staff of integrative medicine doctors at Orland Park Integrated Health, and started working as a CA. She has worked her way to being our administrative assistant for the Orland Park Clinic. In this position, she manages the flow of the office and tends to patient needs along with other administrative responsibilities. Lori has been married to her husband Mike for 38 years. They have two beautiful daughters and are now grandparents for the first time to another beautiful little girl.